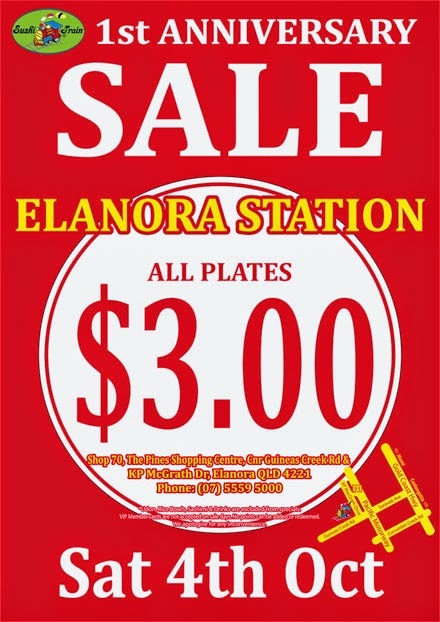 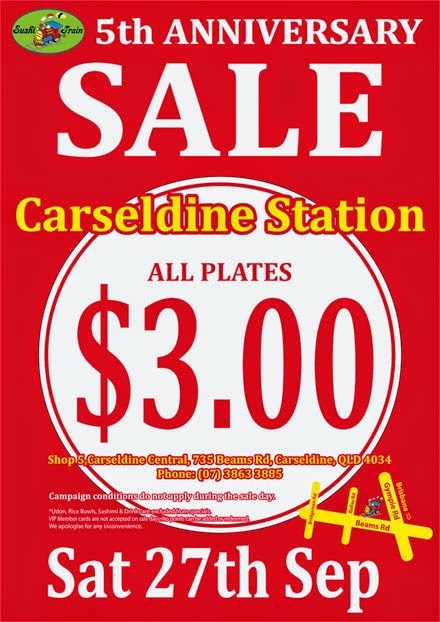 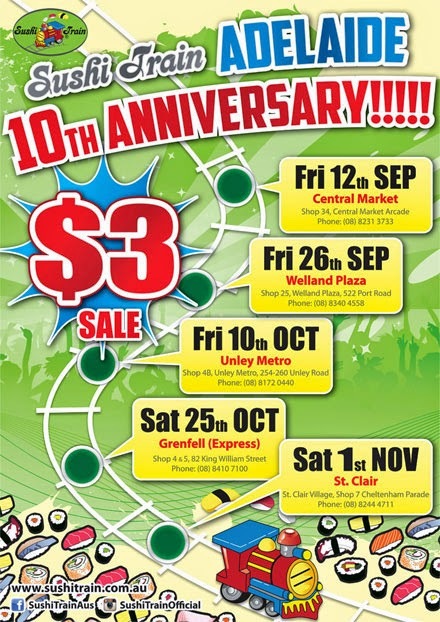 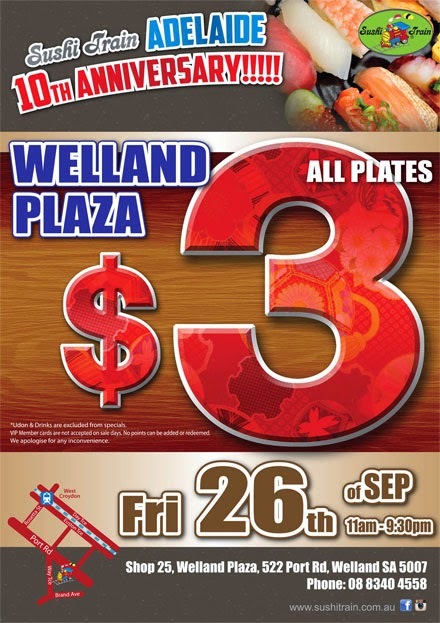 Sushi Train Elanora Station 1st Anniversary $3 Sale!! 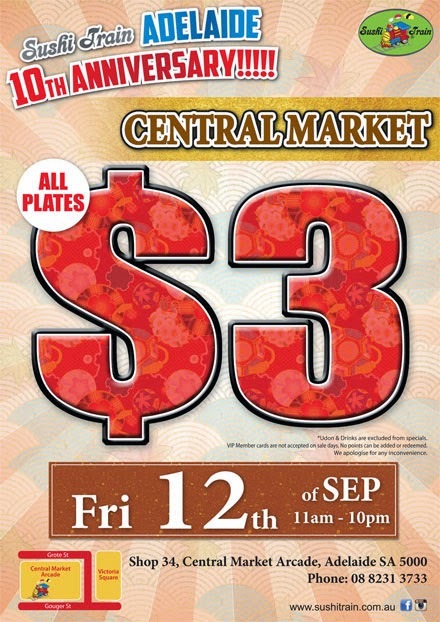 The Sushi Train Maroubra Station in NSW is to be closed on Monday 1 Sep and Tueday 2 Sep 2014, due to the minor shop maintenance. 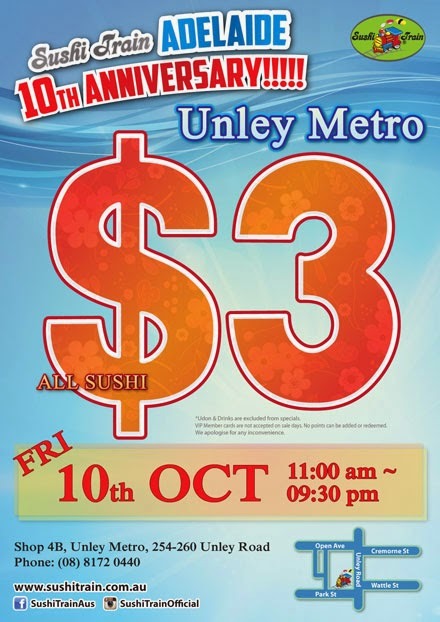 Management of the Sushi Train Maroubra Station.